NFU Deputy President Minette Batters has become the latest ambassador for the Love British Food campaign. The ongoing Love British Food campaign culminates in British Food Fortnight which this year runs from 23 Sept – 8 Oct 2017 and is the biggest annual national celebration of food and drink produced in the country. The Co-op is once again the official retail partner and the campaign is supported by a committee of high profile organisations such as the WI, Federation of Young Farmers, Campaign to Protect Rural England and a host of catering organisations. 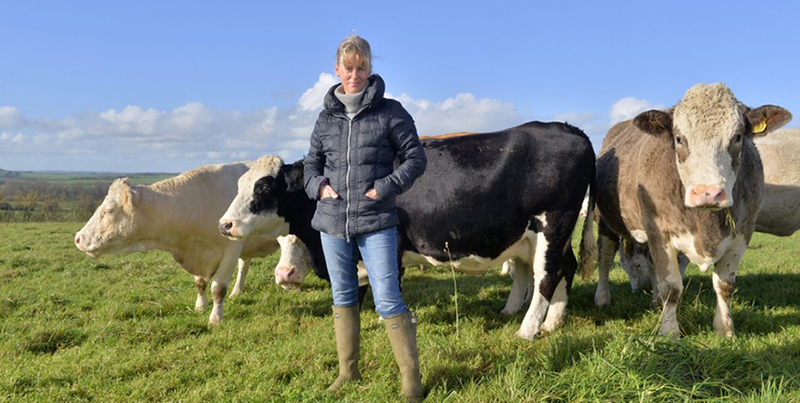 Minette Batters will be joining a growing list of key Love British Food supporters including legendary chef Raymond Blanc and his son Olivier Blanc; well-being writer and organic farmer, Liz Earle; and farmer and former chairman of the National Fed of Young Farmers Clubs, Milly Fyfe.